When your life insurance company informs you that your policy premiums or insurance costs will be increasing significantly, you will usually be told that the reasons for the increases are beyond the company’s control. You are right to be skeptical of these explanations. When you receive a notice that your life insurance policy’s costs are increasing, you are generally given the option to either cancel a policy you may have paid into for several years or pay several times what you were paying for the same policy. You may be forced to wipe out all of the life insurance policy savings you had accumulated. Do you think that your insurance company may be trying to increase your life insurance premiums in Virginia? You will want to be certain to retain legal counsel for help holding the insurer accountable. CHASENBOSCOLO has been fighting for clients all over Virginia since 1986. Our Virginia life insurance company fraud attorneys can provide a complete evaluation of your case as soon as you call (703) 538-1138 or contact us online to schedule a free consultation. Do I Need A Life Insurance Company Fraud Lawyer? Proving insurance fraud is very challenging, and most people are not readily equipped to engage in the activities necessary to obtain the required evidence. You will want to have an attorney primarily because they can conduct an independent investigation. The lawyer will be able to review your life insurance policy and then identify any violations committed by your insurer. Your attorney can also then begin negotiating with an insurance company for a fair and full settlement to your case. The insurer may quickly reach out to you and offer you a lump sum settlement to resolve your case before you have even had the chance to contact an attorney. Know that whatever amount you are being offered is likely far less than what you are entitled to. A lawyer will be able to accurately gauge the true value of your claim and then fight to help you recover that full amount. CHASENBOSCOLO has made taking care of our clients our top priority ever since our founding. We accomplish this by making ourselves available 24 hours a day, seven days a week. 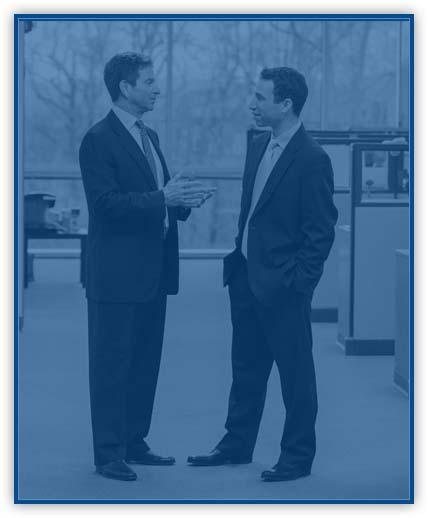 Our firm now includes a team of 25 attorneys and over 90 professionals with more than 100 years of legal experience. We have recovered hundreds of millions of dollars for thousands of clients. Barry M. Chasen was named to the National Trial Lawyers Top 100 Trial Lawyers in 2013. Benjamin T. Boscolo was a workers compensation panelist for the National Football League Players Association (NFLPA). Martindale-Hubbell has awarded both lawyers AV Preeminent ratings. You also get the No Fee Guarantee® when you work with CHASENBOSCOLO, which means you pay nothing unless you recover a financial award. Our firm will work towards a just settlement to your case, but we can file a lawsuit if the insurance company fails to make an adequate offer. Life insurance is generally divided into two kinds of policies: term life insurance and permanent life insurance. Term life insurance only provides coverage for a set number of years and has no cash value, with premiums generally staying at a guaranteed level for the set period of years. Whole Life Insurance — Basic whole life insurance pays a guaranteed benefit at a guaranteed rate and has a cash value that earns interest at a predetermined rate. Universal Life Insurance — Universal life insurance pays a guaranteed death, and excess premium payments may be credited toward the cash value of the policy. The cash value may earn interest at a variable rate. Variable Life Insurance — Variable life insurance involves multiple accounts made up of stocks, bond funds, money market funds, equity funds, bonds, or other instruments or investment funds. Variable Universal Life Insurance — Variable universal life insurance allows for the investment of the policy’s cash value. Group Life Insurance — A single insurance contract covering a group of people, usually purchased by entities such as labor organizations. Life insurance companies or their agents may engage in numerous acts of fraud for personal gain. Some agents, for example, may deliberately misrepresent an applicant’s income to secure higher policy limits that also increase their commissions, but the policyholders may then be unable to afford the premiums because of the misrepresentation. Life insurance companies also like to sell annuities with their products, and annuities can indeed be beneficial for some people in the right circumstances. In other cases, agents may mislead people about when annuities will provide benefits. When a person attempts to file a claim to collect on a life insurance policy, policies of significant size will often be subject to numerous delays, and some may even be denied. If your life insurance claim has been denied, the insurance company may have engaged in any one of a number of actions that could constitute acting in bad faith and the person could still be able to recover the compensation they need and deserve. In August 1999, the Los Angeles Times reported that Metropolitan Life Insurance Co. agreed to pay at least $1.7 billion to settle allegations that 7 million policyholders were hit with deceptive sales practices after paying over $135 million in fines, refunds, and penalties in the prior five years. According to the Times, the largest insurer in the United States, Prudential Insurance Co., had set aside $2.6 billion to settle policyholder lawsuits and paid a record $5.5 million to California regulators. The amount of life insurance you need will depend on the number of dependents you are hoping to take care of with your life insurance policy. You will certainly want to leave enough for your family to address all of the issues they will have to deal with following your death, such as your mortgage, children’s education, and estate taxes or other related expenses for settling an estate. You also want to leave your beneficiaries with a sufficient amount to satisfy all of your final debts. You could also purchase a policy that allows for your beneficiaries to have the funds necessary to adapt to life without you. Replacing your annual salary may be a factor in determining the proper amount of life insurance that will meet your family’s particular needs. Underwriting is a process involving one party receiving payment for coverage of continent risk. Insurance underwriting involves evaluating the risk and exposures of potential clients to decide how they should pay for life insurance and whether the company should insure them. Underwriting will commonly take such factors into account as your age, gender, health habits (such as smoking), and family health history as well as whether you are employed in a dangerous industry or engage in hazardous activities. As part of underwriting, an insurance company may ask you to fill out a health questionnaire or submit to an independent medical examination (IME). There are different levels of underwriting, and life insurance policies are subject to varying kinds of underwriting. How long does it take for a life insurance claim to be paid? activity? Most life insurance claims are generally paid within 30 days of receipt of a death certificate or other notification. Larger policies, such as those with values of more than $100,000, can often involve lengthy investigations that lead to frequent delays with claims. Consumers are right to become angry with these delays. As soon as you experience any kind of delay with your life insurance claim, make sure that you have an attorney on your side. The Coalition Against Insurance Fraud estimates fraud results in $80 billion in losses across all lines of insurance. According to the National Association of Insurance Commissioners, state fraud bureaus received over 132,000 case referrals from insurance companies, consumers, and other law enforcement agencies in 2010, and approximately 45,000 cases opened for investigation led to over 4,200 arrests and 2,000 civil actions. The FBI reports that the over 7,000 companies in the insurance industry collect more than $1 trillion in premiums every year. Insurance Fraud results in $400 and $700 per year in the form of increased premiums for the average American family. If you believe you have been the victim of life insurance fraud in Virginia, seek legal representation right away. You will want to have an experienced lawyer for assistance in investigating and proving your claim so you can recover all of the compensation you are entitled to. CHASENBOSCOLO is committed to helping you get justice. Call (703) 538-1138 or contact us online to take advantage of a free consultation.